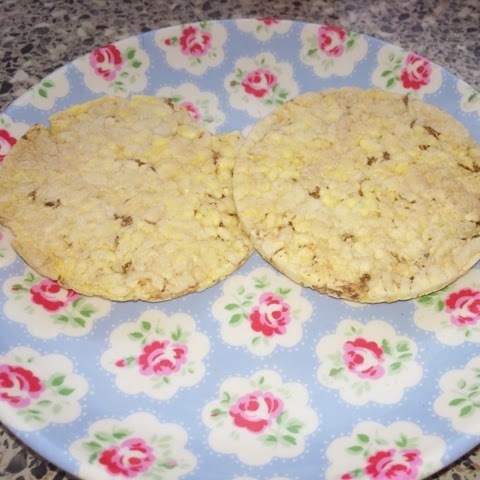 I thought I would share with you a quick gluten free snack. This is super light and super healthy and has very little ingredients. As I have mentioned before I follow a Gluten Free lifestyle so all of these products are gluten free. There will be many other none gluten free and gluten free products that you can swap but these are my favourites. This is so simple and quick... 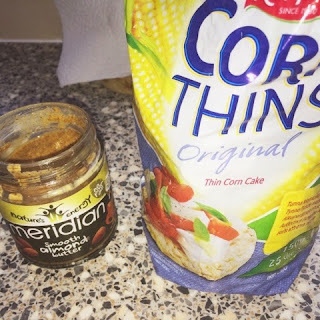 I start off with two plain corn thins and I spread them with the almond butter. I tend to put a fair amount depending on if it is for my breakfast or just a snack. You can create a cute design or just plain. Then you can add any healthy fruit. 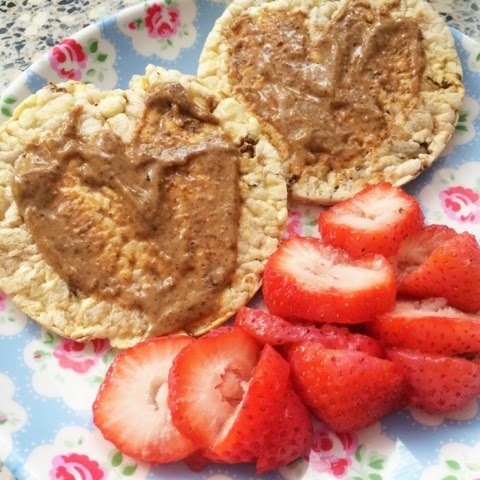 I have gone for Strawberries as they are super tasty with the almond butter. I chop the strawberries so I can put them on top but you can just have them on the side. If you need something with less prep, you can use raisins or banana chips. They work the same and are very appetizing. And as quick as that you are done. Now you enjoy the goodness. If you are interested in how I became Gluten Free check it out (here). Aswell as all my Gluten Free posts (here). This is probably my favorite snack at the moment, so let me know if you try it out?